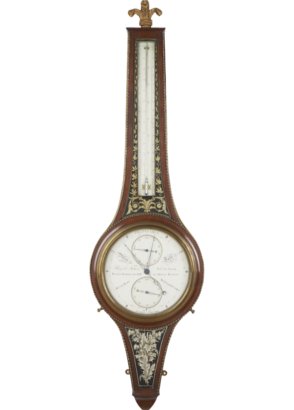 A very find and important Regency mahogany verre eglomise and brass mounted wheel barometer by this eminent maker. The enamel dial with the original finish and with register dials, fine hands and makers signature. 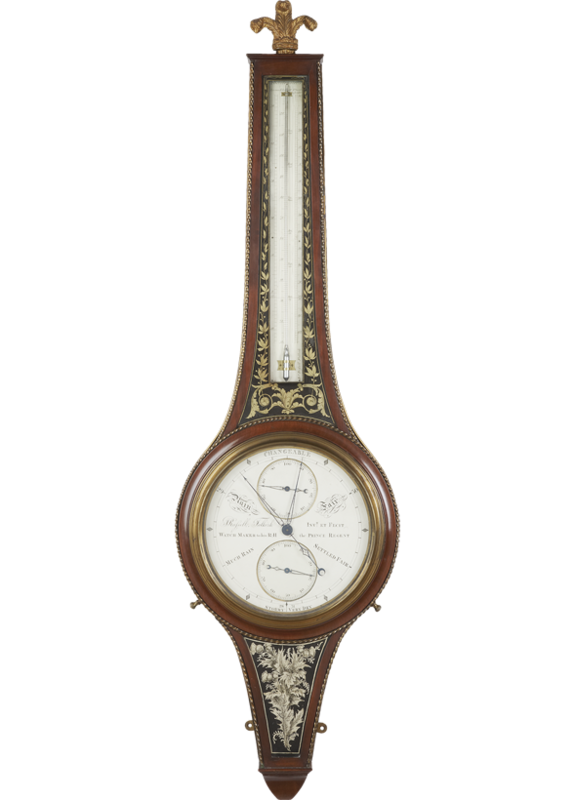 John Russell who invented this barometer made two barometers of this exact form of "Royal Barometer" for King George III and the Prince Regent later to become George IV, both are at present in Buckingham Palace. This barometer was purchased privately in 1945 for £110.00.